Parenting a strong-willed or spirited child is prone to power struggles. Sometimes reading and humour are the best ways to reset. Find get resources here. Parenting a strong-willed child is the most humbling and rewarding endeavour of my life. And it just so happens I’m not parenting one spirited child, but two. What defines a spirited or strong-willed child? They may be perceived as difficult or stubborn. However, strong-willed children are kids who aren’t easily swayed. They won’t accept instruction at face value. Naturally, they want to test limits again and again. They want their independence. Continue reading about strong-willed children here. One of our family’s coping strategies is… Reading. God certainly saw the extent both my husband and I were stubborn, emotional, strong-willed kids ourselves, and figured we could benefit from enduring experiencing what our parents went through. When I’m caught in a whirlwind of “spiritedness,” two favourite ways to reset are getting outside and reading. The reason I love reading it that it facilitates a time to for my kids and me to connect. (The connection between caregiver and child helps dimish power struggles). On days where one or both of my kids aren’t agreeable, I grab an armful of books and then another and then another until they seem more settled. My favourite children’s books are typically ones where the protagonist(s) demonstrate some of the same wilfulness I see in my own two kids. (Inner humour is one of my coping strategies when I’m faced with a lot of willfulness). Incidentally, those books tend to be their favourites too. They just love the chance to correct someone else’s silliness and love to laugh along with me. 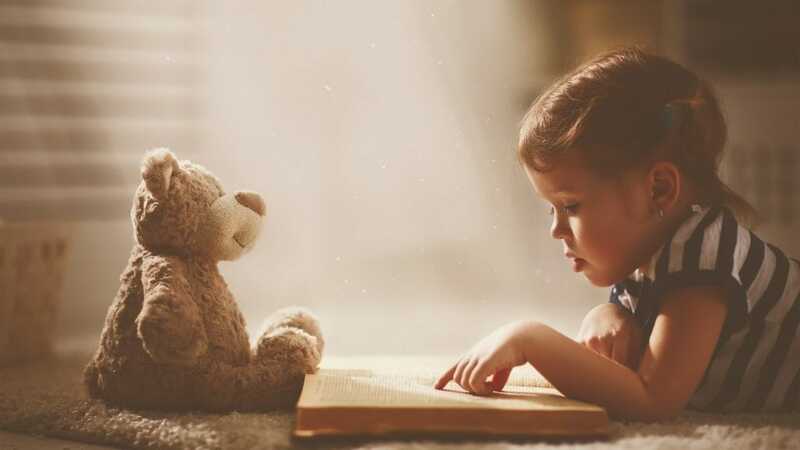 While I could go on and on, I did narrow the list down of the best books for a spirited child. Many of these are series with equally enjoyable continuations on the same theme. 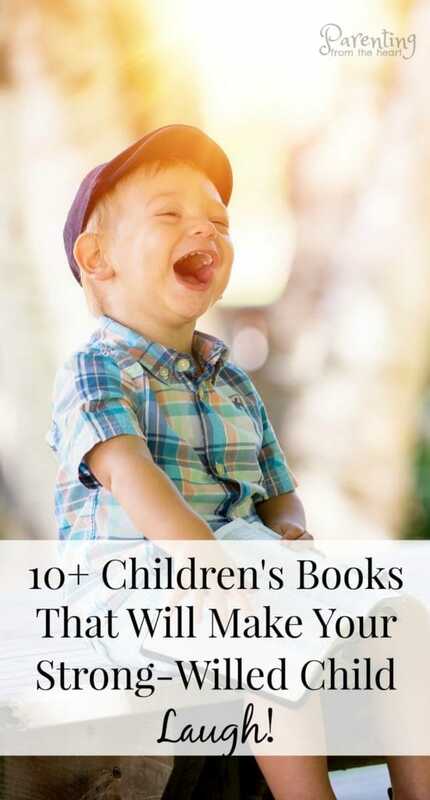 Here are some of the best books to make your strong-willed child laugh. This post contains affiliate links. If you purchase books from those links, you will pay the same price on Amazon. However, I will receive a commission. Mo Williams has quickly become one of our favourite authors. This Caldecott Medal winner is the first installment in a series about a very adamant pigeon. 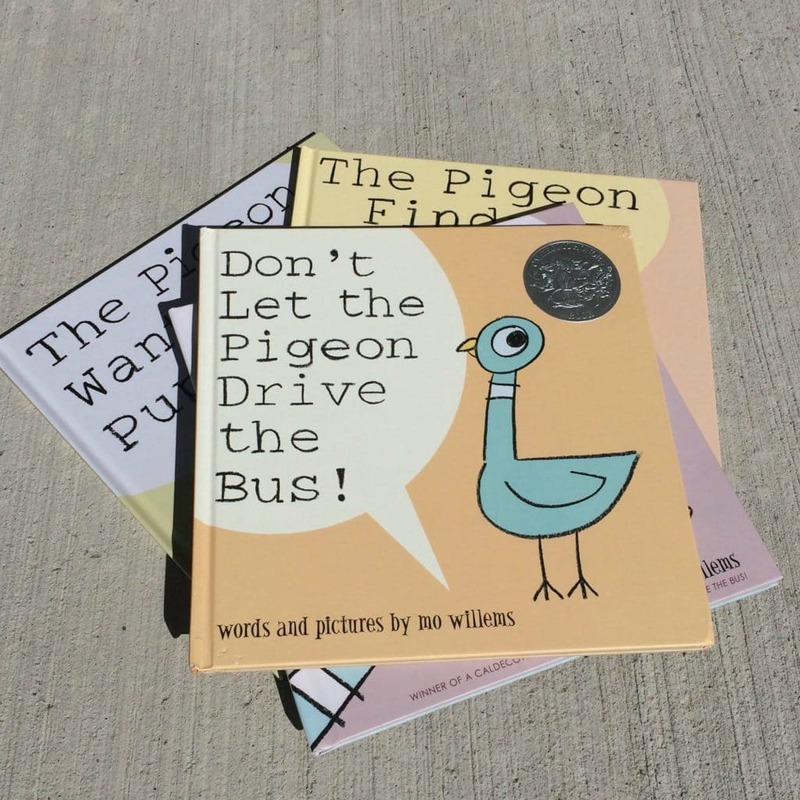 In this book, the pigeon does his utmost to convince the reader to go against the bus driver’s wishes and let him drive the bus. Your children will surely relish the opportunity to prevent someone other than themselves from doing something naughty! Other volumes in this series that we love include Don’t Let the Pigeon Stay Up Late, The Pigeon Needs a Bath and The Pigeon Wants a Puppy. 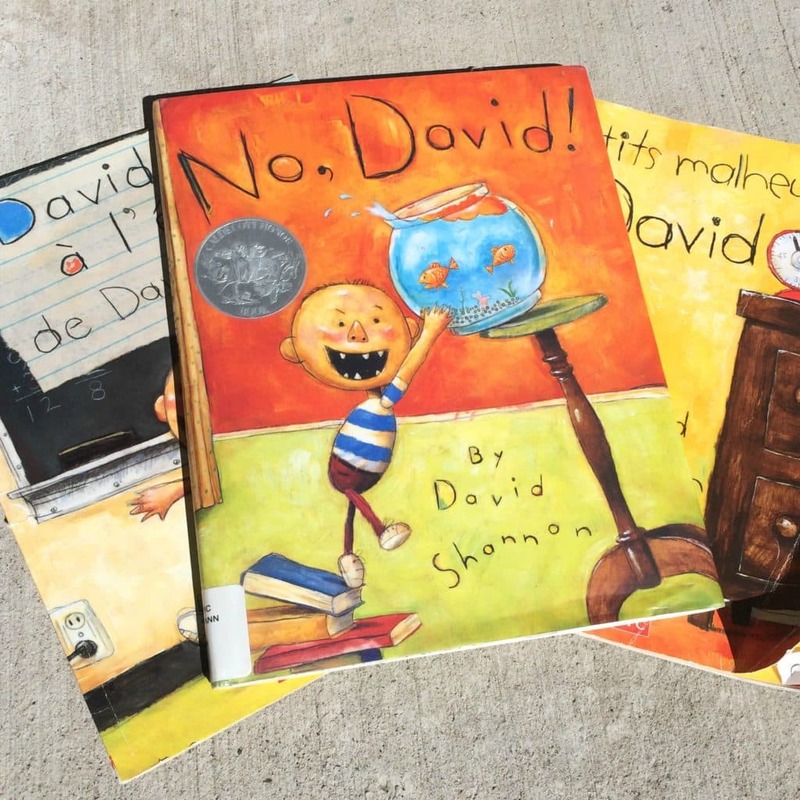 Another Caldecott Medal winner, this book is largely pictures of a very spirited David up to no good. What I love about this book is it was written largely by the author in his childhood and was later slightly revamped for publication. Like the Pidgeon, my kids are in stitches both laughing and insisting, “No, David!” Other ones in this series we really like are David Gets In Trouble and David Goes to School. Ian Falconer is also a Caldecott medal winner for his depiction of a very precocious, headstrong Olivia. This little pig certainly believes the world is her oyster and is prepared to explore it in her own unique way. As such, she ends up both in time-out and with her mother admitting, “…you really wear me out, but I love you anyway.” While other books in this series are also good, the books I recommend in the Olivia series are only written by Ian Falconer. Olivia has since been picked up as a TV show and there are books, based on the show, that are mediocrely written. Classic Munsch = Classic enjoyment. And of all of the Classic Munsch books, Mortimer is a standout. Like many spirited children, Mortimer’s strong suits do not include going to sleep in a timely or quiet manner. After being put in bed, his desire to sing at the top of his lungs trumps his parents’ demands that he, “BE QUIET!” Despite the attempts of Mortimer’s parents, his seventeen brothers and sisters, and the Police to get him to keep his racquet down, he persists. That is until he loses his audience. When no one else comes upstairs, Mortimer finally dozes off to sleep. 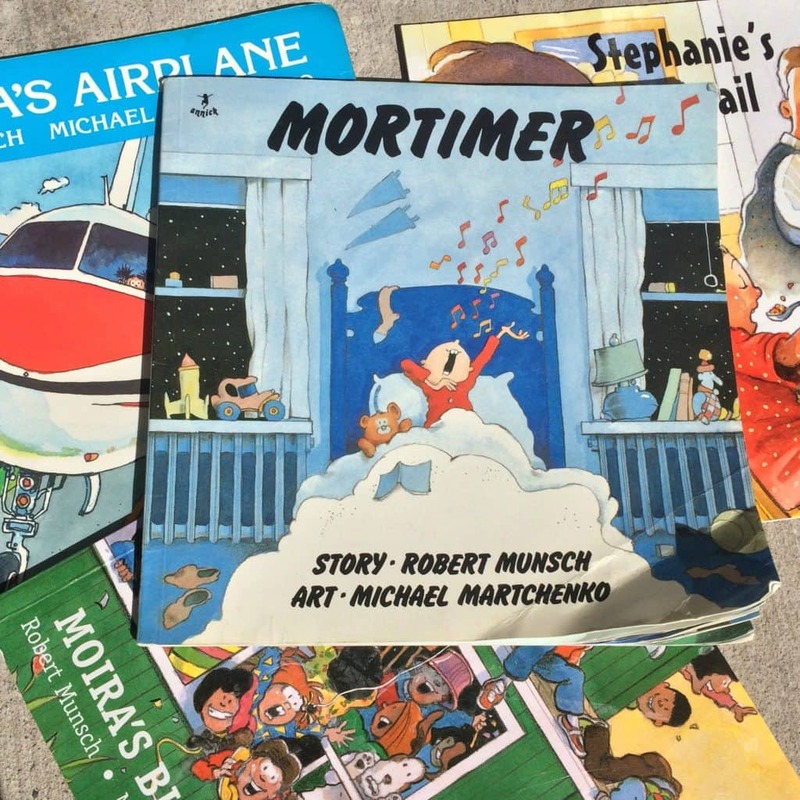 Some other Robert Munsch books that are also awesome for a spirited child include Angela’s Airplane, Thomas’ Snowsuit, The Fire Station, Purple, Green, and Yellow, and Moira’s Birthday (wherein Moira invites the whole school to her birthday party without her parents knowing!). We have just come across Melanie Watt’s brilliant authorship! Everything we’ve read so far is chalked full of wit and quirkiness. Scaredy Squirrel is certainly exceptional. The first book in an established series, Scaredy Squirrel is one many parents and kids can relate to. Scaredy Squirrel is very, very adamant about both his perspective and staying in his tree no matter what. One day, when he suddenly has to leave, he finds himself pretty darn scared. Obviously, he plays dead for a couple of hours to avoid being attacked by say, a shark. But when no sharks come, he realizes life outside his comfort zone can actually be quite nice! Other books in this series we love are Scaredy Squirrel Makes a Friend and Scaredy Squirrel Goes Camping. Whether you’ve read the Day the Crayons Quit or not, this book is hilarious and definitely creatively written. Many of Duncan’s less popular crayon colours express their desire to come home after being forgotten, melted, and sat on. Like many kids, these unique crayons express the fact they don’t fit into a conventional crayon box in very colourful ways (all puns intended). If your child has a stuffed animal they hold dear, this whole series will be a family hit. That said, I am particularly fond of Knuffle Bunny Too because of the similarity between Trixie’s bouncy personality and that of my daughter’s. Another Caldecott Medal winner, this book starts off with Trixie detailing every single person she is going to show her one of a kind totally unique Knuffle Bunny to. When she gets to preschool, she is met by a kid who also has a Knuffle Bunny. Chaos ensues, Knuffle Bunnies are taken away, and parents are up all hours of the night. Really, I promise you, this one is AWESOME! 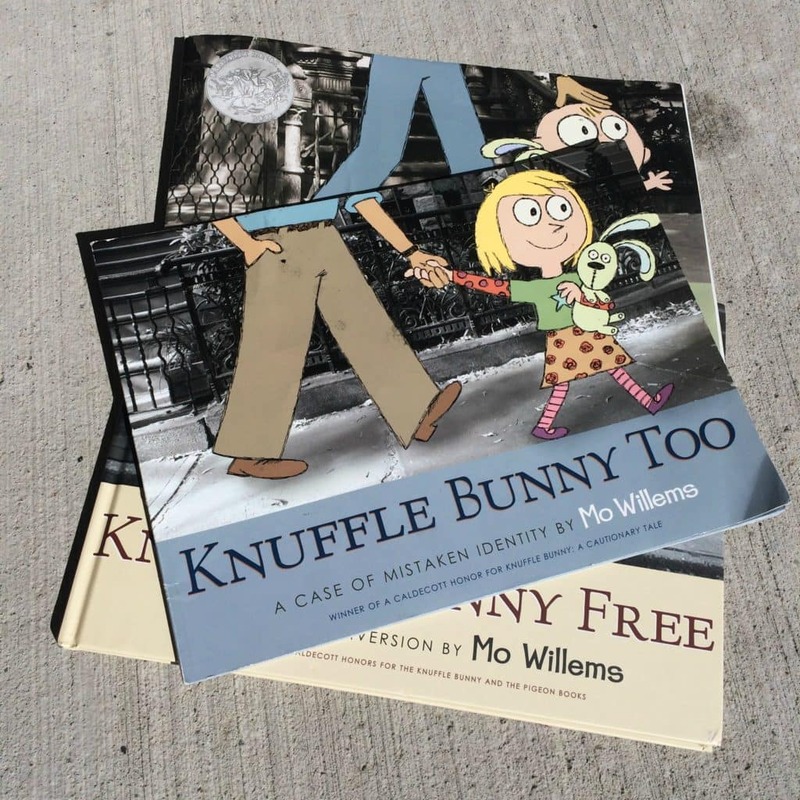 Don’t miss out on Knuffle Bunny: A Cautionary Tale and Knuffle Bunny Free: An Unexpected Diversion as well! Looking for books to help with parenting your strong-willed child? Here are some of my favourites below (they’re rooted in positive parenting). These look like great books. 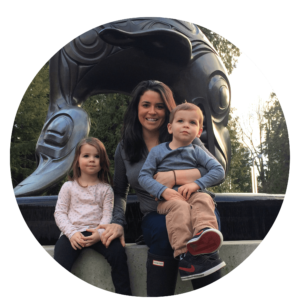 Getting my little ones to sit through a story is craziness, but we try to often. Thanks for sharing. Lol!!!! Blah is right. Honestly, when my kids get stuck on a book or movie, it wears on me too. Great choices! I love the crayon series, and No! David is really good too. You have some Great selections here!! 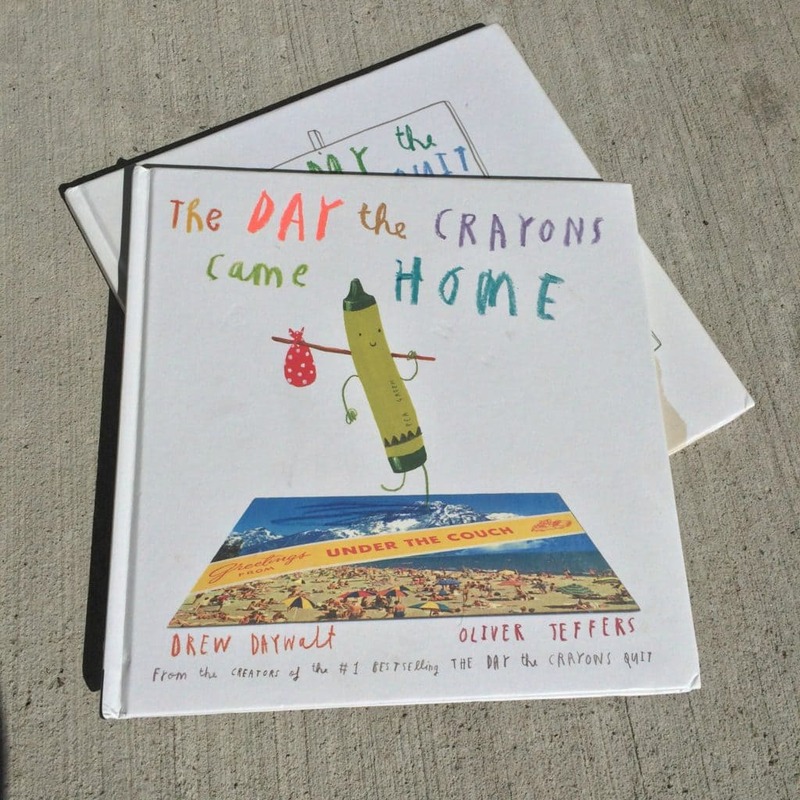 I love the crayon books… Will have to check out a few more from your picks! Cooper memorized the entire mortimer book when he was 2! It was his favorite to read again and again. I have a video on my phone of it still 🙂 Great picks! I love all of these! 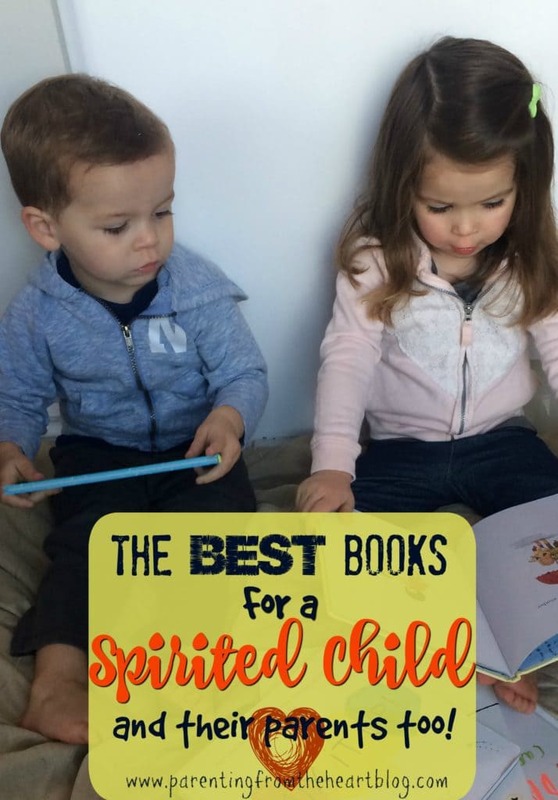 I have a spirited child or two – great list!! I came across your blog, through pinterest. What caught my attention was strong-willed children. My son, who is 7, is strong-willed. In fact, his name means spirited. 🙂 What I found interesting in this post the recommendation for Mo Willems’ books. This is interesting to me, because this is my son’s favorite author! He fell in love with these books in Kindergarten. We have all the Pigeon books and most of the Elephant and Piggie books. He really enjoys books written by Laurie Keller, as well. Thank you so much for reading! We have yet to check out the Elephant and the Pig books, but we will. I hadn’t heard of Laurie Keller. I will definitely check her out. Thank you again for your comment and for the reading suggestions! !